NOTICE: Activation key must be used on a valid Steam account. Requires internet connection. About the gameFollow the story of the purple-cloaked runaway wizard, Arif, on his quest to save his friend’s life. In a world where wizardry is outlawed, the magicians, Arif and his companion Veleus, were captured by a group of agents during their escape from the Kingdom of Duredyll and thrown into t… he dungeons. One day, Veleus, was sentenced to fight for his life in Atixa’s Grand Colosseum, run by a powerful mage by the name ‘Parthax’. Veleus fought valiantly, but was severely injured and incapacitated following his defeat. 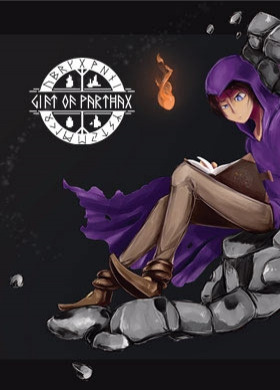 Arif heard rumors of his condition and knew the only way to save his friend would be to surpass any opponent standing in his way of attaining the champion’s prize, his friend’s only salvation, the Gift of Parthax. Key Features Create and combine your own spells: Discover 6 magical elements and use some of the 29 spells and 39 powerful spell-enhancing runes to create your own style of play. Every spell has 4 rune slots to add effects onto. Add more of your favorite rune to enhance its effect! These many spells and runes provide you with a great number of spell-customization choices. Increase your power and knowledge: For every challenge you complete as Arif, your knowledge of magic will increase, expanding your character’s mind. Every time you gather enough knowledge to expand your mind, you will gain more health, mana and an increase in magic damage. Unlock and learn powerful ancient magic: Based on the morality system’s result of your fights against bosses, you will be able to unlock either Light or Blood magic. Fight in epic arena battles: Survive 5 Seasons consisting of 25 challenges with mythological and magical creatures in Atixa’s Grand Colosseum. Dive into a gripping story: Interact with the colosseum's characters and objects to discover more about the lore, find loot or learn more about magic. Shape the ending of the game: Your moral choices made during boss fights will lead to one of four different storyline endings. System Requirements Windows - Minimum OS: Windows 7 Processor : 1.66 GHz Dual core Memory: 2 GB of memory Graphics: Intel HD Graphics 5000 or newer DirectX: Version 9.0c Network: High speed internet connection Disk Space: 1 GB available disk space Sound Card: Yes Windows - Recommended OS: Windows 7 Processor: 1.66 GHz Dual core Memory: 2 GB of memory Graphics: Intel HD Graphics 5000 or newer DirectX: Version 9.0c Network: High speed internet connection Disk Space: 1 GB available disk space Sound Card: Yes Mac - Minimum OS: macOS 10.11+ Processor: 1.66 GHz Dual core Memory: 2 GB of memory Graphics: Intel HD Graphics 5000 or newer Network: High speed internet connection Disk Space: 1 GB available disk space Sound Card: Yes Mac - Recommended OS: macOS 10.11+ Processor: 2.4 GHz Quad Core 2.0 (or higher) Memory: 8 GB of memory Graphics: Nvidia GTX 660 or better / ATI 7950 or better Network: High speed internet connection Disk Space: 1 GB available disk space Sound Card: Yes © 2018 1C Company. Developed by Foldergeist Studios IVS. All rights reserved.